We all love seeing farms with trellises of beans, rows of tomatoes, and patches of herbs, but so often people forget about roots. Root veggies are growing right under our feet and are a hearty way to get nutrition. 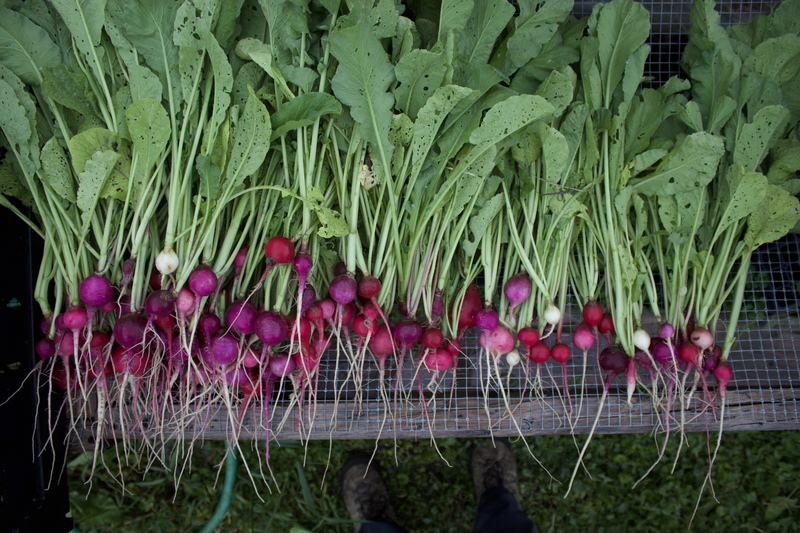 Every vegetable grown on our farm is unique and provides a vast array of flavors and beneficial properties, however the star of the show today is radishes. Radishes are root vegetables that are prepared in numerous different ways and are the most fresh in the late spring and early summer. 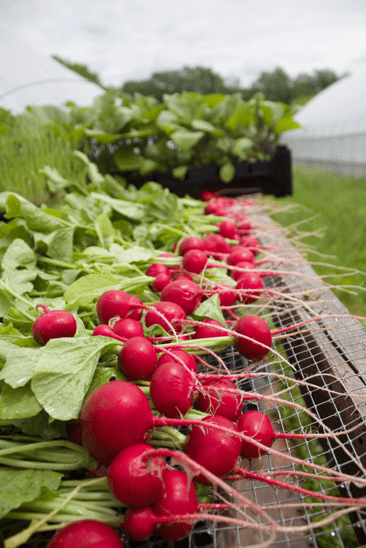 Radishes are one of our favorite root vegetables to grow as you can use both the radish, and the radish green, resulting in very minimal wasted plant matter. They can be eaten raw, which is the form that packs the most zingy, peppery taste, but they can also be pickled, roasted, or grilled in order to dull the spicy flavor. 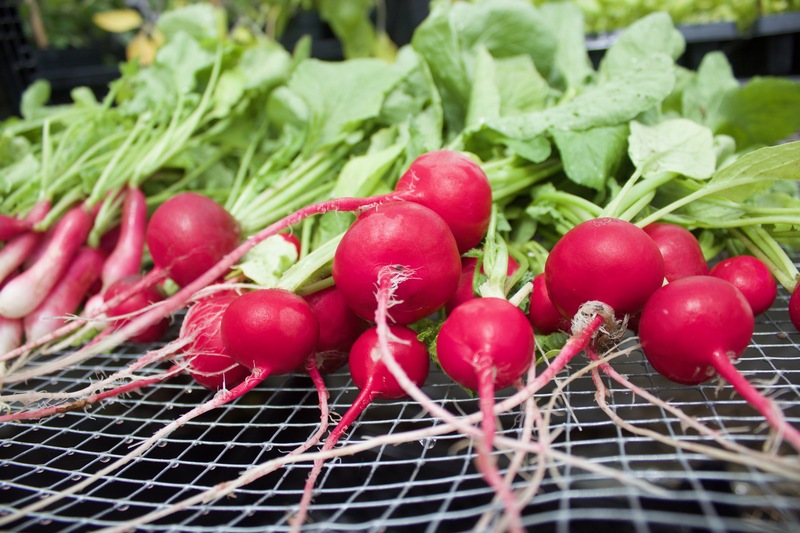 Radishes come in many different varieties which alters the shape, color, taste, and size. On our farm, we grow French breakfast, red, and Easter egg radishes. 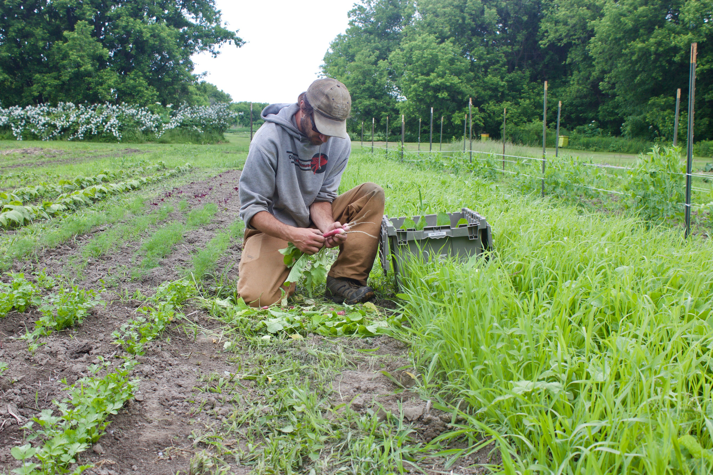 Here is Matt last week gathering our first harvest of the season of French breakfast, and red radishes. Here at Sugarsnap we love to add radishes to our dishes to create a pop of color. From germination to harvest, the radishes were under the care of Matt. They are a very easy and rewarding veggie that only takes around 4-6 weeks to mature. After their growing period, Matt takes them to the washing station to remove any dirt that may reside on the root or greens. 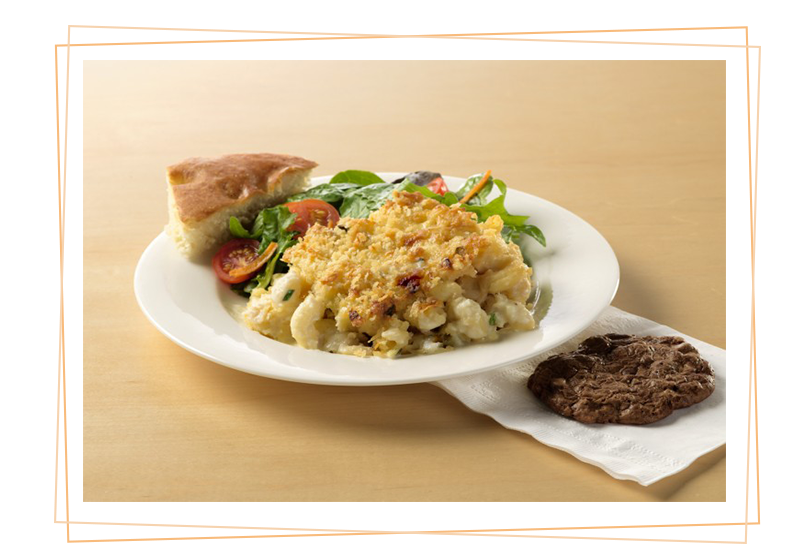 Check out the details of these dishes and many more on our Drop Off Summer Menu and our Picnic Menu. We are excited to see what our late spring, and early summer season will have in store for us and our radishes. 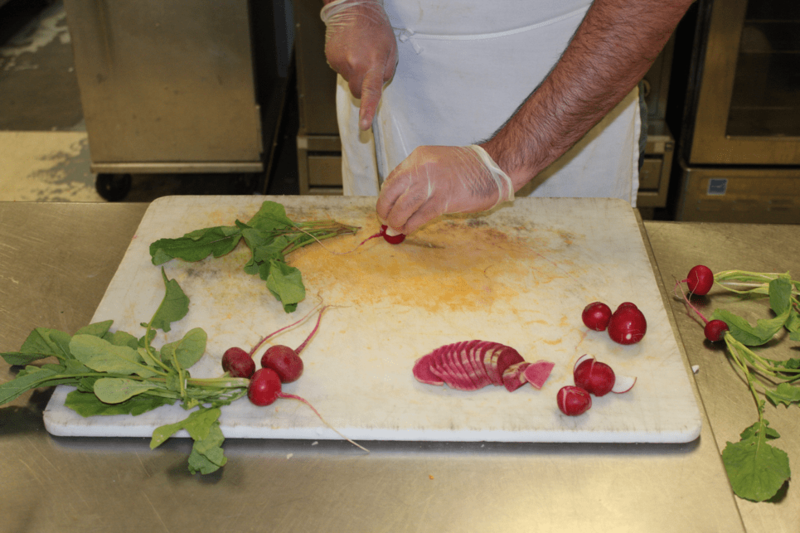 The Sugarsnap team wants to encourage everyone to try radishes if you haven’t, and to explore the many ways to prepare them. Let us know how it works out and if you have any exciting ways we can utilize the great root. Were always open for suggestions and encourage new ideas. Everyone emphasizes the beauty of summer veggies growing in the sun, but you can’t forget about your roots, and the delicious flavors that could be flourishing below the surface! Try out this link for great radish recipes! Its not too late to grow your own! Follow this link to Gardeners Supply located at the Intervale for all your garden and farming essentials. Look here for more updates and stories from the farm. We'd love to hear from you! Start a conversation on Twitter .